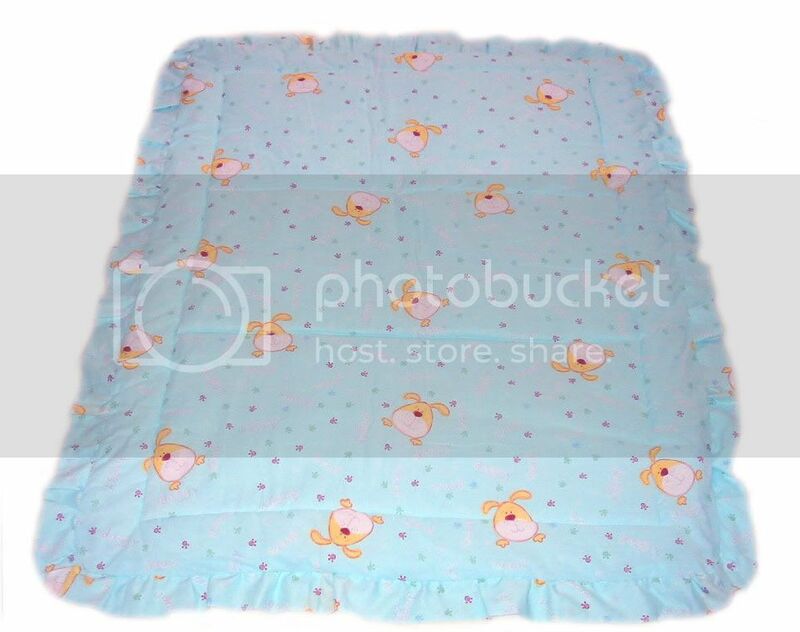 Made out of a very soft blend of cotton and polyester, this comforter can easily become baby's favorite. The color is soft and soothing. The edges are finished with 3 inch-wide ruffles. Dimensions with ruffles are 40 in. x 50 in.